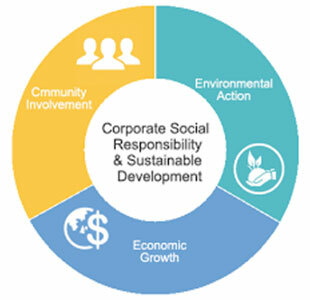 A corporate social responsibility (CSR) or corporate giving is one of the important functions in C&S Electric. We have always believed in philanthropic ways of engaging and contributing to the well-being of the communities and society to transform our world for the better. 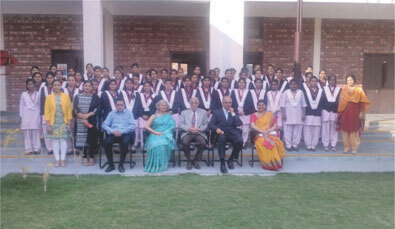 Some of the CSR initiatives that took place in C&S Electric. In between leading busy lives in today’s fast-paced corporate sector and urban living, we cannot deny the fact that our modern living is also causing a negative impact to our mother earth which is taking a toll on our health too. 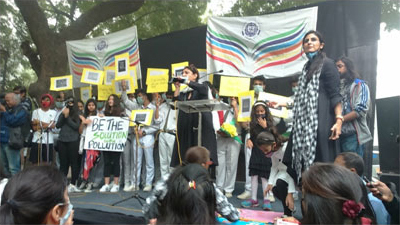 To address this global challenge, we supported “MY Right to Breathe”, a campaign that aims to bring pollution awareness within the communities we live making our planet healthy and safe. We also implemented environmentally friendly practices across all our offices and manufacturing units for a cleaner environment to lead a better quality of life. Education and skill development are the backbone of a progressive nation, and at C&S Electric, it is one of the priority areas in our CSR strategy. To strengthen and empower the youth, we have been working with various NGOs and institutions for the upliftment of the underprivileged sections of society. 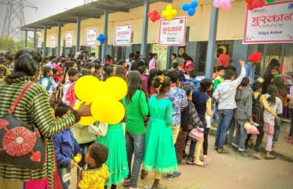 Also, we run unique programs and initiatives in partnership with Oxfan India, to provide education to the children residing in the slums of Kalyanpuri and Trilokpuri, Delhi. We also have partnered with Him Jyoti School & Him Jyoti Vocational Training Institutes, Dehradun to support the girl child’s education from the economically weaker sections of the society. We have successfully undertaken numerous campaigns under WiNtrip Power Club – an exclusive club to impart skill training to electricians. We at C&S Electric have crafted our CSR strategy with an aim to bring us closer to the vision of a healthy India. As part of our healthcare initiatives, we organize numerous blood donation camps at our Offices and manufacturing units to promote well-being in the community. Our employees also enthusiastically participate in the blood donation drives contributing towards a noble cause of saving a life. As much as we care about our society, we also care about our employees. We believe that healthy employees are the real wealth for an organization. Keeping that in mind, we proactively organize health check-ups camps and programs specifically for our employees throughout the year. 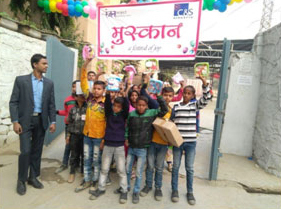 We organize “Vastra Samman“, a campaign that runs across all the manufacturing units at C&S Electric which encourages the culture of giving. 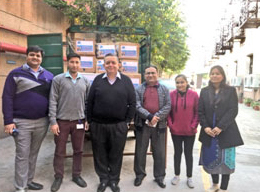 During the campaign, all the employees come together in a constructive and enjoyable way to collect clothes for the homeless, deprived and the underprivileged people in the society. We have been a part of this initiative since last 5 years and organize the clothes donation camp twice in a year to collect as many as clothes to keep the less fortunate comfortable in both harsh summer and winter season.